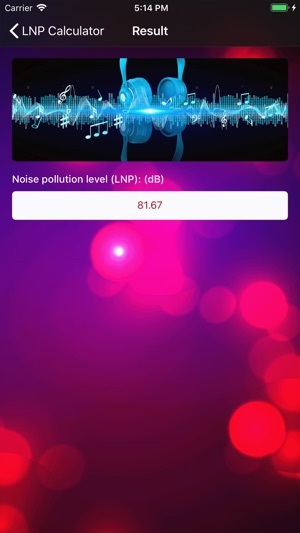 The noise pollution level (LNP) is the amount of noise that is given by the combined effects of the energy average and the variation characteristics (indicated by the standard deviation). The amount of noise evaluation given by the effects of both the energy average and the variation characteristics (indicated by the standard deviation). The practice of many unsteady noises shows that the fluctuations caused by the fluctuations of the noise are greater than the steady-state noise of the equal energy and are related to the rate of change and the average intensity of the noise exposure. It has been proved by experiments that adding an amount indicating the magnitude of noise variation to the equivalent continuous sound level can better reflect the actual pollution level. It is more appropriate to use this noise pollution level to evaluate the traffic noise of aviation or roads. 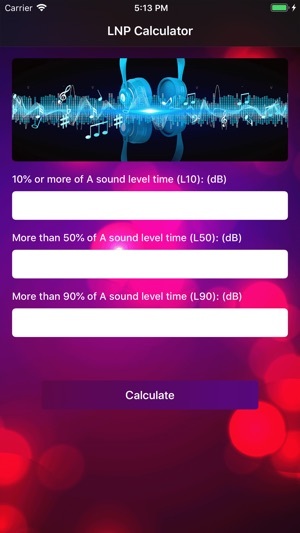 Our app is based on the noise pollution level formula to help users quickly calculate the noise pollution level.